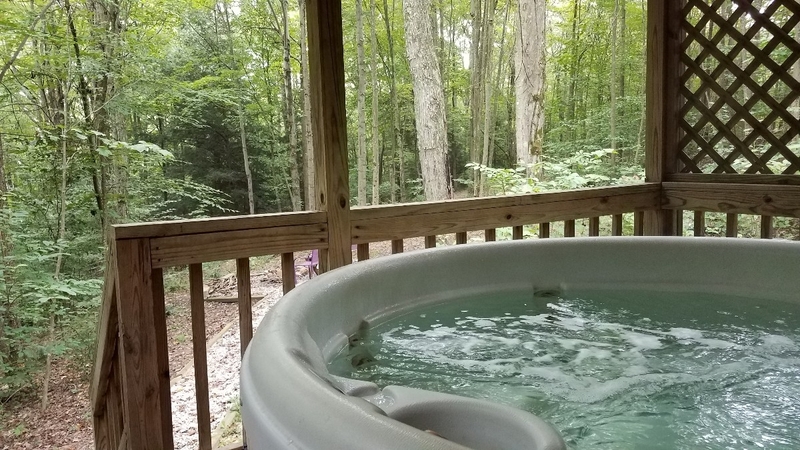 Relax, Unwind Repeat. 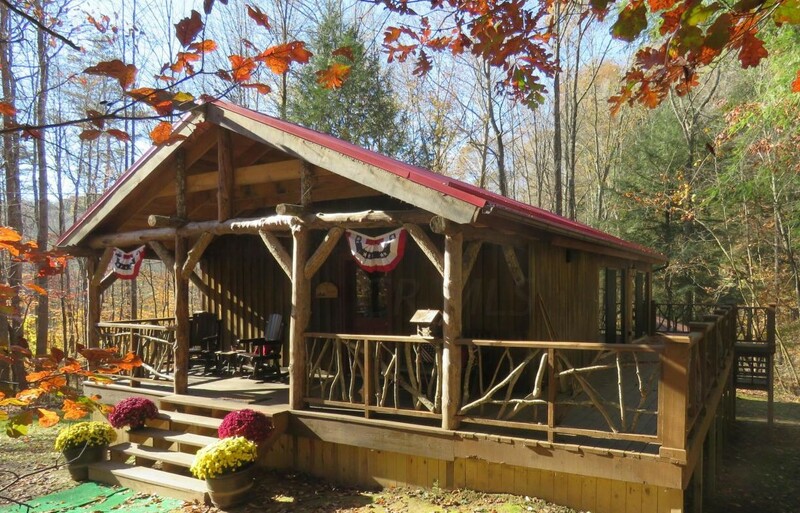 Big Pine Retreat is a group of 3 Cozy Cabins situated on 30 beautiful private wooded acres. 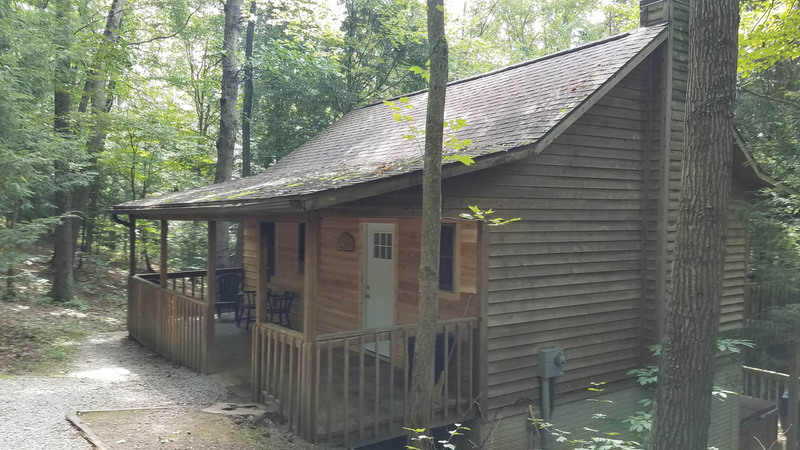 All of our 3 cabins are privately situated, nestled in the trees with spectacular hiking available right outside your door. 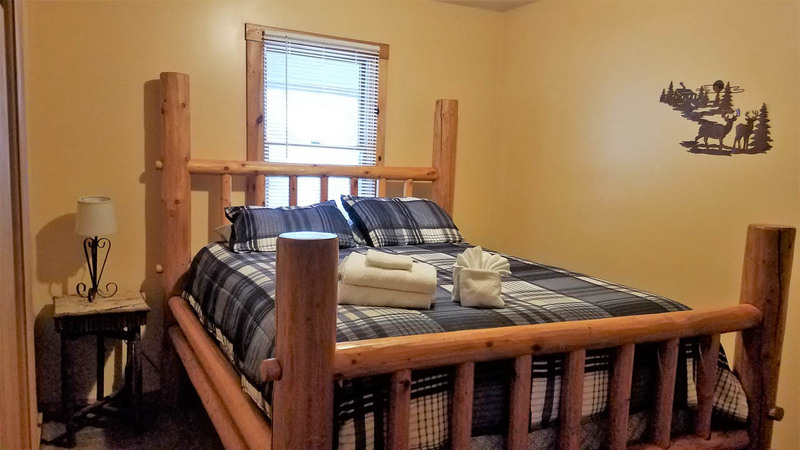 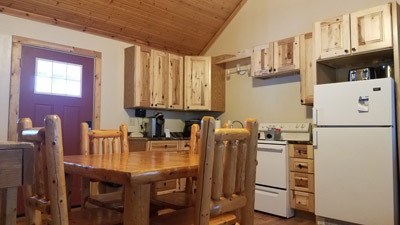 Complete with fully equipped kitchens, full bathroom, queen size beds in all the bedrooms and central heat and Air, our cabins will make you feel at home. 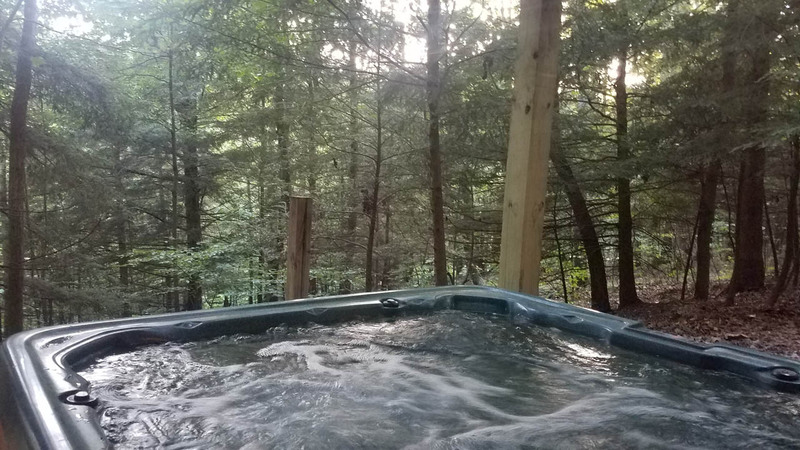 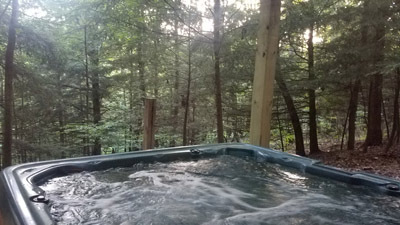 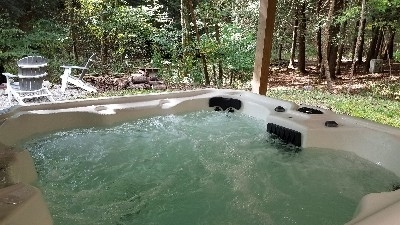 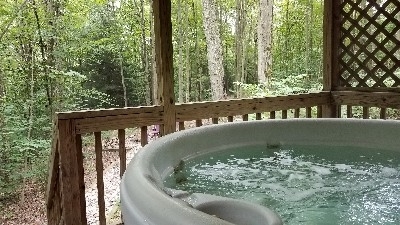 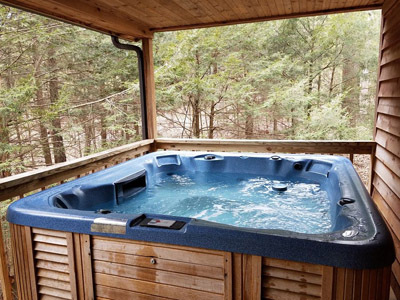 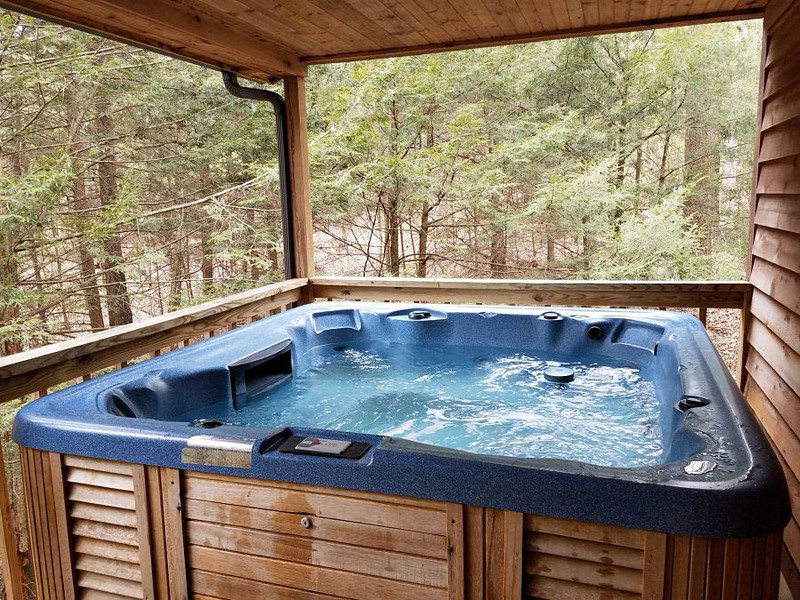 Private Hot Tubs, wifi, gas grills and Satellite TV are some of the other amenities you will find with Big Pine Retreat. 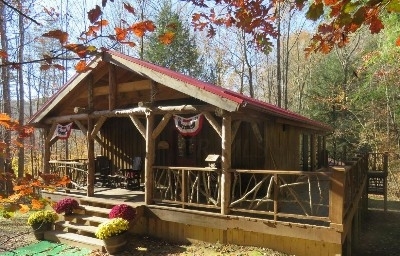 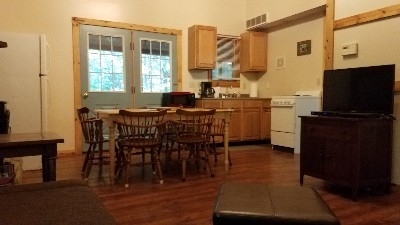 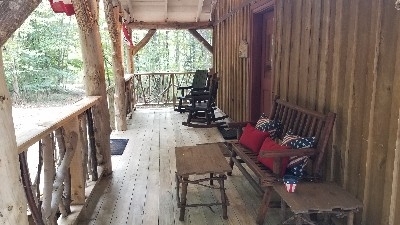 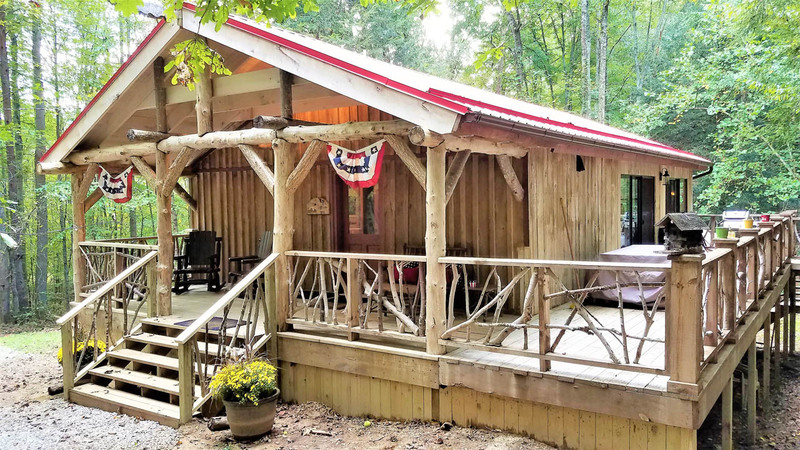 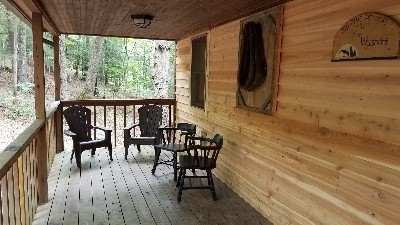 All of our cabins have their own private entrance, large covered porches with picnic tables and fire pits. 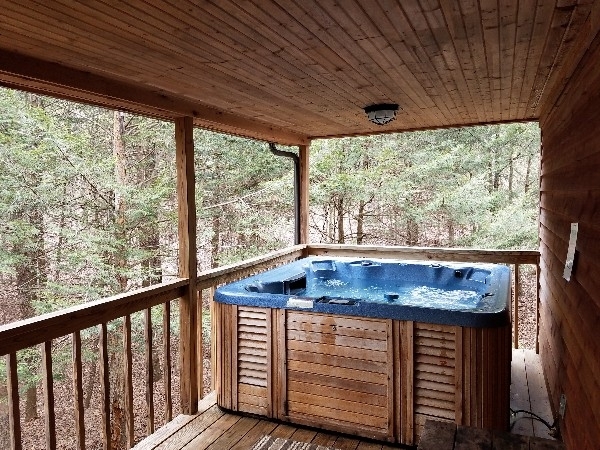 Your own private views of the woods and surrounding area enhance the experience. 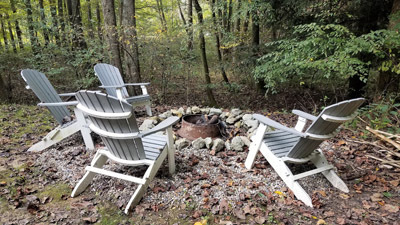 Close to everything Hocking County Old Mans Cave, Wineries, Horseback riding, Canoeing, Antiques, you will want to come back again and again. We look forward to your stay. 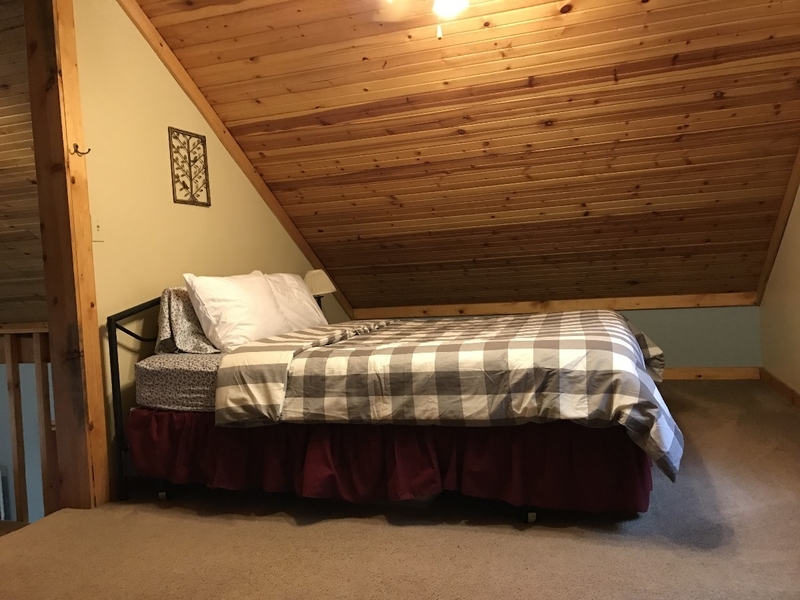 10 percent Discount - Save 10% ! 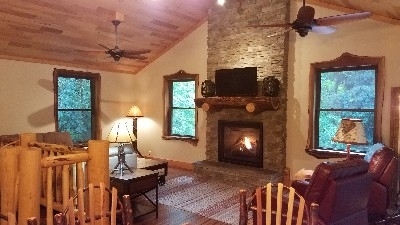 "Stay 5 nights save 10%"
Cozy cabin nestled in the woods on 30 private acres. 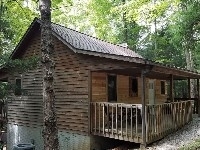 Located 1 mile from Conkles Hollow and 4 miles from Old Man's Cave. 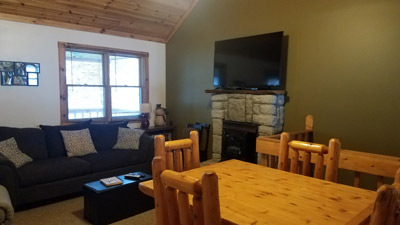 Queen bed, full bath, hot tub,Wifi, DirecTV,DVD player, DVD library, fireplace, fire pit and full kitchen. 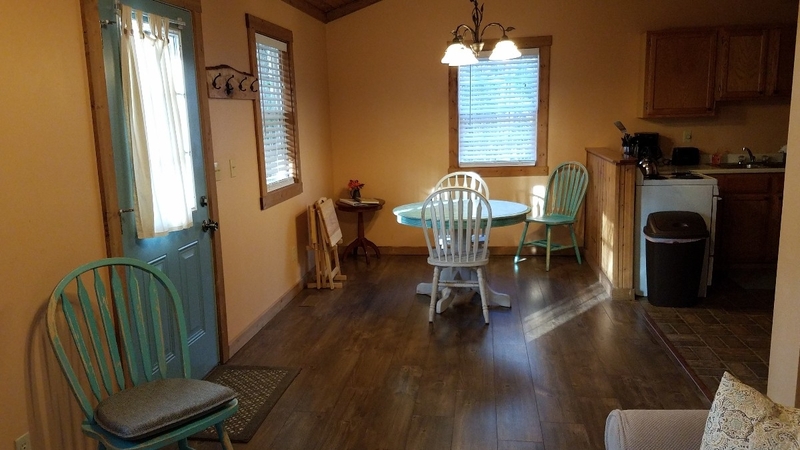 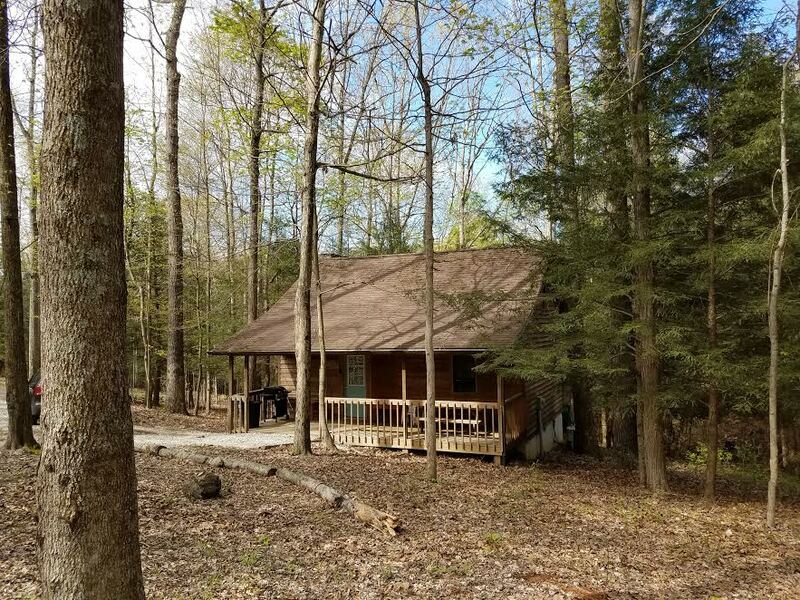 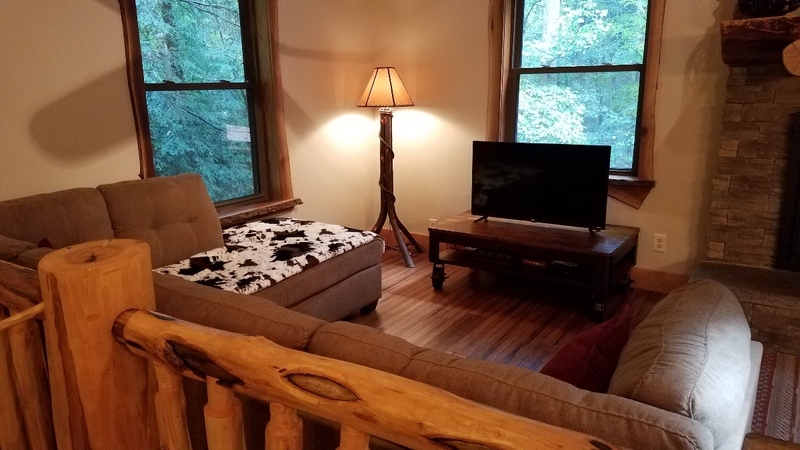 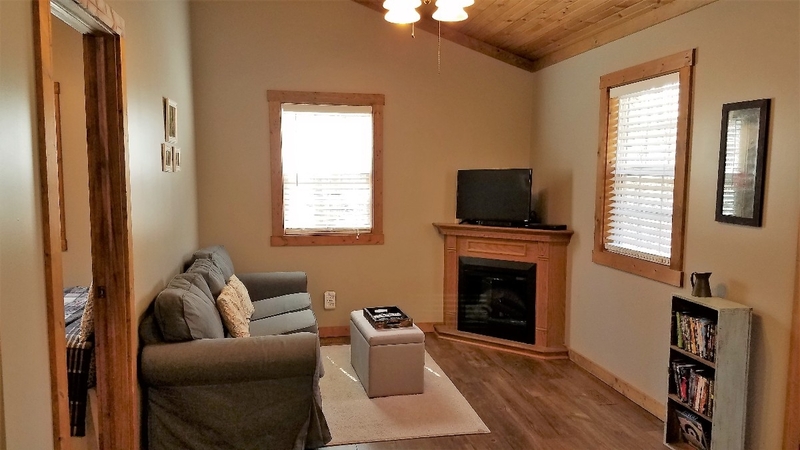 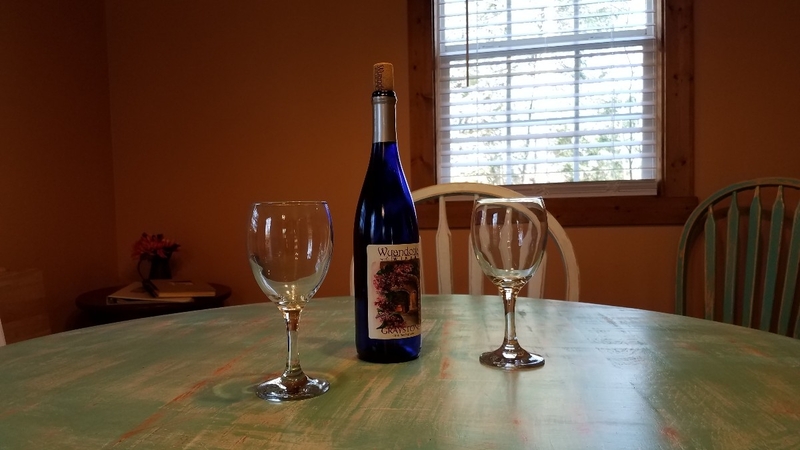 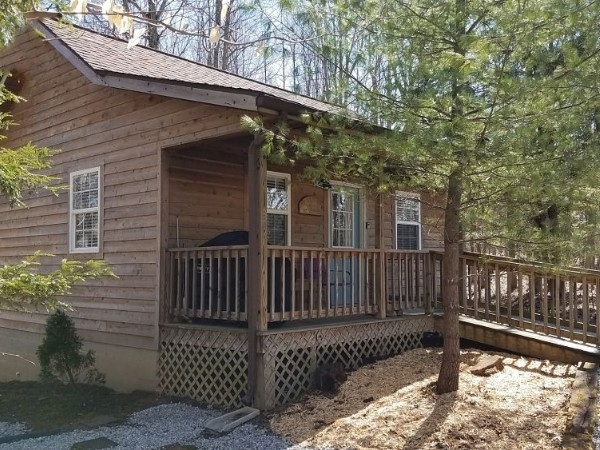 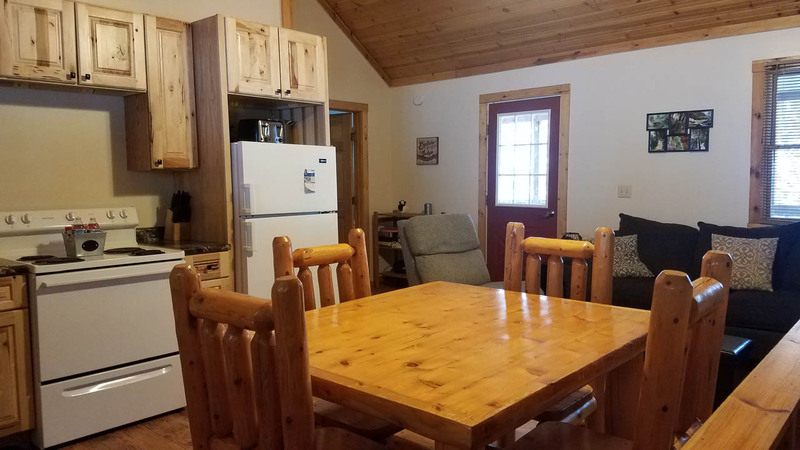 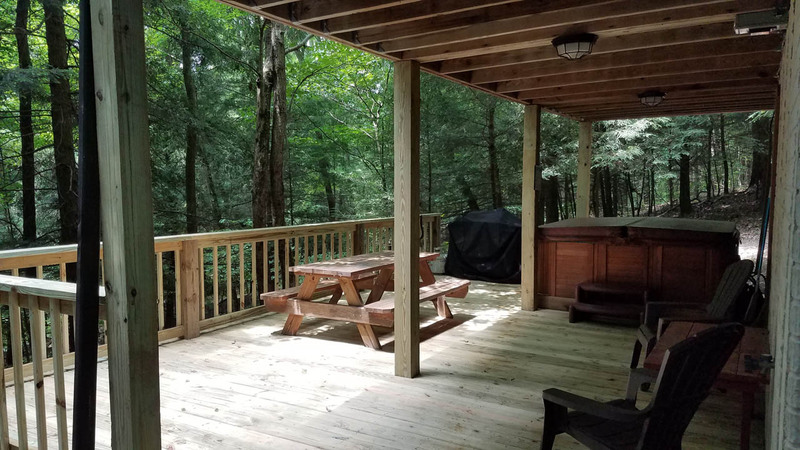 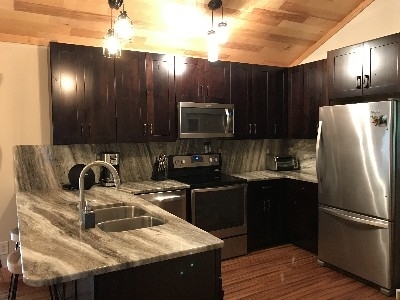 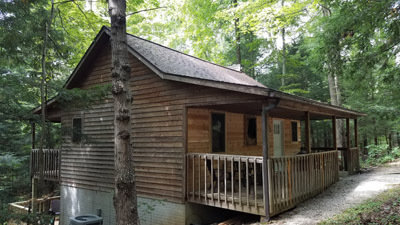 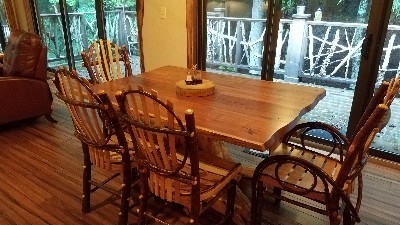 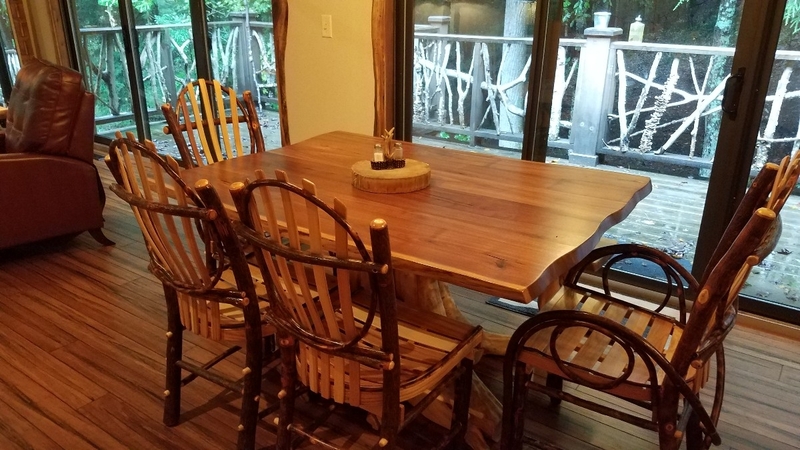 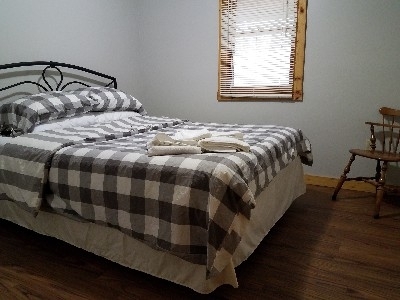 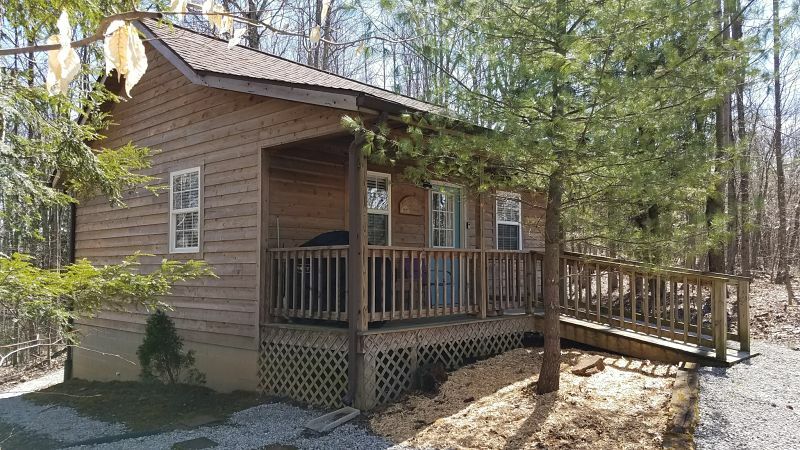 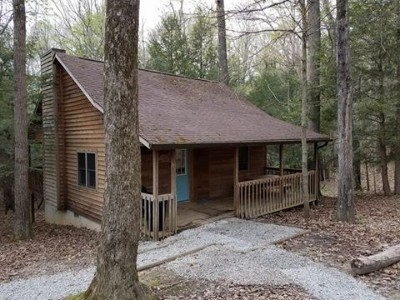 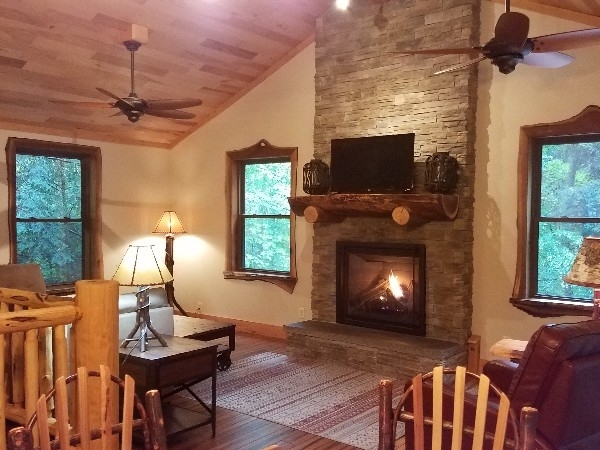 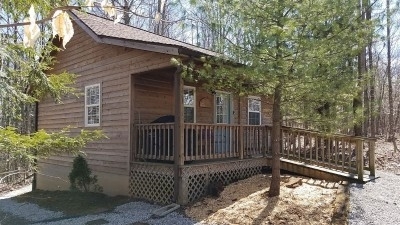 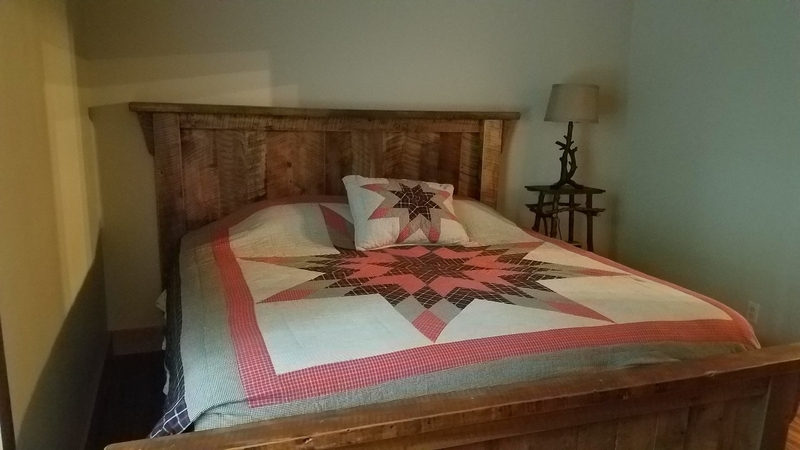 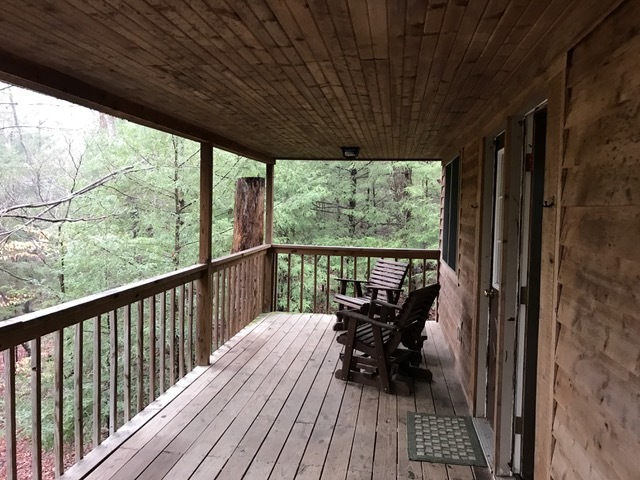 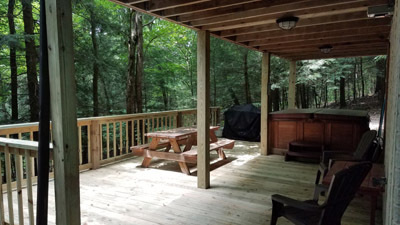 Loft cabin, tucked away in the woods surrounded by 30 acres and adjacent to state forest., 2 queen beds, 1 bath, hot tub, Direct TV, DVD player, movie library, electric fireplace, fully equipped kitchen, gas grill and fire pit. 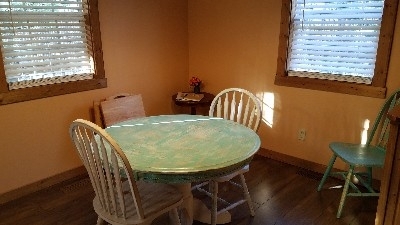 All linens supplied.